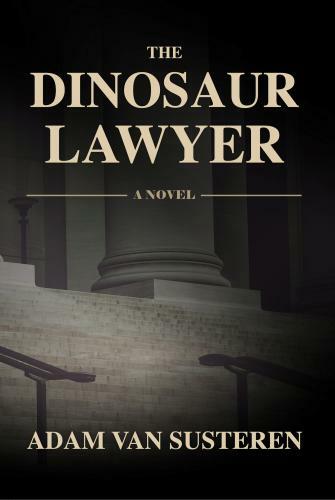 Attorney Aaron Baker is retained by billionaire Roman Aristov to make the case that big dinosaurs never existed. Initially drawn by the money to take the losing side of a case, Aaron slowly starts to believe the unbelievable. The Brachiosaurus, Tyrannosaurus-Rex, and all big dinosaurs never existed. While discovering holes in dinosaur theory, Aaron fears his client is hiding something that could impact his case and career. Take your spot in the jury box to see if Aaron Baker can make the case that big dinosaurs never existed and discover what secrets his client is keeping from him in this courtroom drama. Adam Van Susteren has been a practicing civil litigation attorney in San Diego since 2004. He started working on his first novel in 2012 because he felt too many plot-driven novels contained caricatures instead of characters. Inspired by characteristics of two friends, the protagonist of Van Susteren's series is a smart but everyday guy, Aaron Baker. Van Susteren's novels have put Aaron Baker front and center in disputes over monetary policy, immigration, and the question of whether dinosaurs were real. A consistent theme in the Aaron Baker series is the presentation of well-researched information meant not only to entertain and inform readers, but also to inspire readers to learn even more about an issue after they finish a book. Some think Van Susteren went into writing as a creative outlet when his law practice started focusing on insurance law. Some think it was so he could use it as a pick-up line at a bar. Some think it was to satisfy his desire to entertain and provide information about important issues. Some people are probably somewhat right. Van Susteren is happily married to the amazing Ann Van Susteren. They enjoy traveling throughout the country and the world when they can find the time. Many of the people and places they encounter have inspired characters and locations in previous books and will continue to provide inspiration. Van Susteren deeply appreciates the support of his wife, family, friends, clients, and readers; without whom he could not have his rewarding dual career as a writer and lawyer.